Geography is the study of the earth, including the distribution and interconnectedness of all natural and cultural phenomena and how places are particular expressions of nature and culture. The Geography program offers informative university-transferable classes that include Physical Geography, Physical Geography Laboratory, Cultural Geography, and Independent Study. 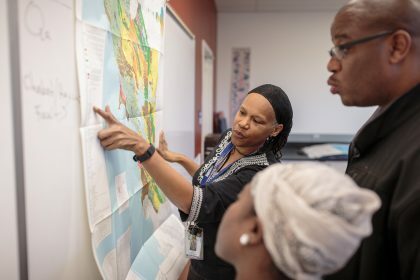 Career options include teaching and research, natural resource management, meteorology (weather), cartography (map-making), urban/regional planning, location analysis, and work using Geographic Information Systems (GIS).